Fans of Dragon Ball FighterZ can soon get up-close and personal with the game’s breakout character! 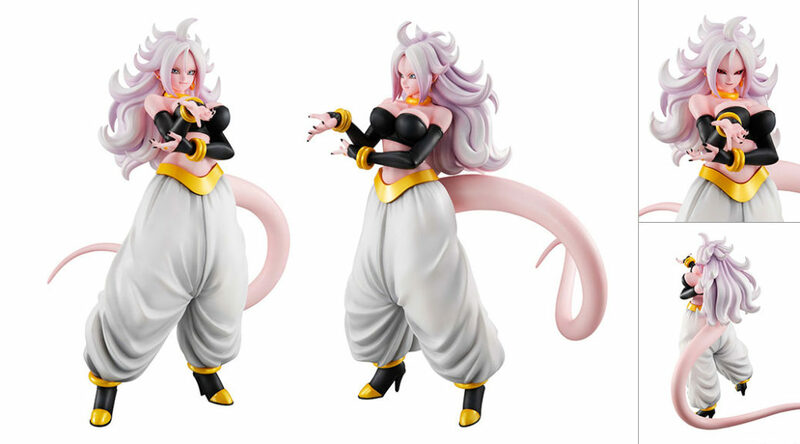 MegaHouse will be releasing a brand-new figure of Android 21 as part of their “Dragon Ball Gals” line-up, in June 2019. The 210-mm statue will include two interchangeable faces – one good, one evil. Check out some images below. Dragon Ball fans can now pre-order her from both Amazon Japan and AmiAmi, at varying prices.